Cech is expected to put a halt to his 11-year-old Chelsea career and move to London rivals Arsenal having had to sit out much of last season. Chelsea's Czech Republic goalkeeper Petr Cech has said he would look for a solution to his plight if he continues to be left on the bench at the Premier League club. Chelsea were handed a quadruple fitness boost ahead of Champions League semi-final second leg against Atletico Madrid when Eden Hazard, Petr Cech, John Terry and Samuel Eto'o took part in training. Picking up a small size coffee, Cech asked his team mate: "Do you want to drink here or go back (to the hotel)?" 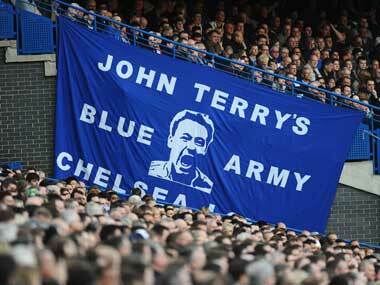 The goalkeeper was echoing the view of skipper John Terry, who had written in the match programme that it was time for the players to stand up and be counted. Cech must be hoping 2012 will never end after helping his Chelsea team beat Liverpool to win England's FA Cup and following that with the Champions League title. 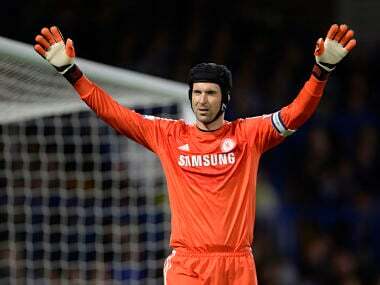 Cech has won three Premier League titles, four FA Cups and two League Cups and saved three penalties in the shootout win over Bayern Munich in the Champions League final on May 19. Is Cisse's strike against Chelsea the goal of the season? Newcastle's victory over Chelsea was built around two super strikes from Cisse. One of them was out of the world. There may be a lot of negative comments about the way Chelsea played yesterday - but don't believe a word of it. They were nothing less than winners. 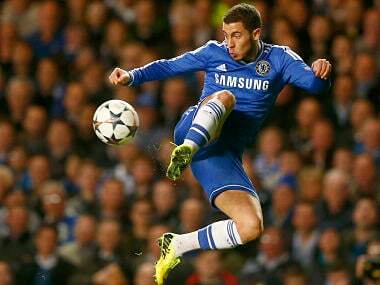 Despite numerous chances and long periods of possession, Barcelona failed to score against Chelsea. 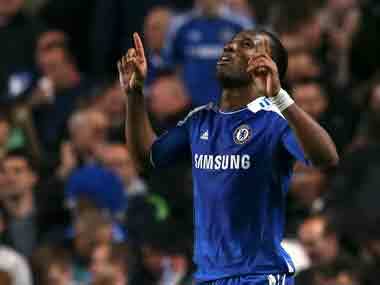 Didier Drogba's goal in the first half was enough to win the game.